Sometimes a guy just needs to draw a Zeppelin. Crazy. 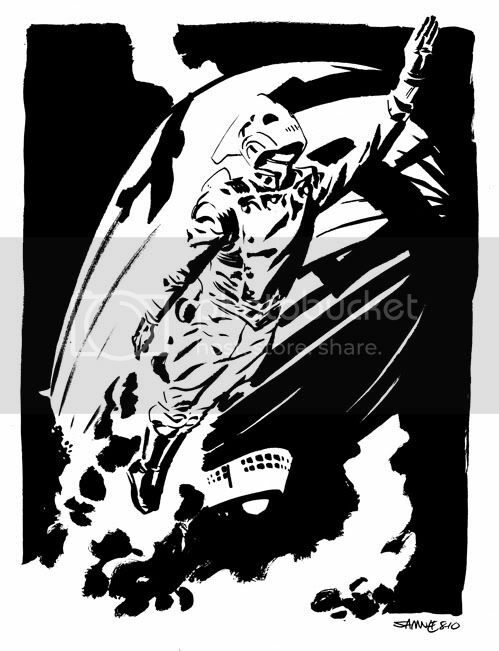 Just the other day I was thinking about how I would almost kill to read a Rocketeer mini drawn by you and written by Roger Langridge. Make this happen. oh man. that's just so damn beautiful. Such a classic character in bronze age comics, you really bring a new life to it. Makes me want to go back to some old issues.